A stray mortar shell causes no casualties or damage. Two rockets were fired from Syria Monday. A mortar shell fired from Syria exploded in the Israeli Golan Heights on Tuesday, hitting an open field without causing any casualties or damage, an IDF spokeswoman said. It was the third incident of fire from the civil war in neighboring Syria straying across the ceasefire line in 24 hours and came as tensions soared after Israel carried out weekend air strikes near Damascus. On Monday, two rockets fired from Syrian territory also exploded in open fields on the Israeli side. 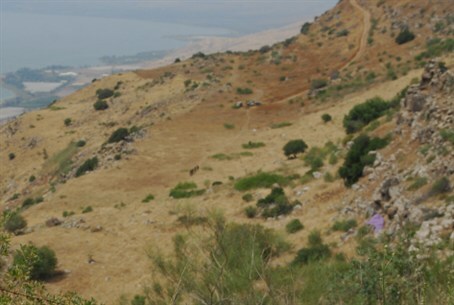 The Golan has been tense since the beginning of the conflict in Syria more than two years ago. However, there have been only minor flare-ups in the region to date, as Syrian shells have crashed in the Golan and Israel has fired at the source in retaliation. The United Nations Disengagement Observer Force has been stationed in the Golan since 1974 to oversee a ceasefire between Israel and Syria.